You think it, we can print it! Inflatable and promotional Wavy Guys are made out of the highest quality materials and manufacturing processes in the industry. 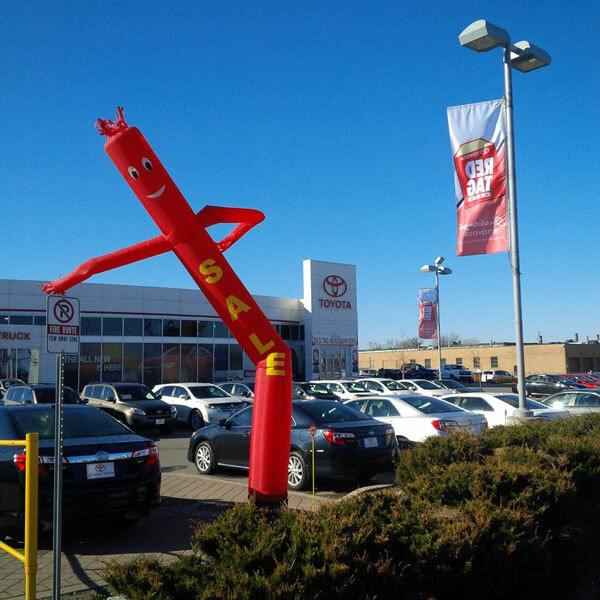 The body and arms fly in all directions attracting attention from kids, people and potential customers passing by your business. 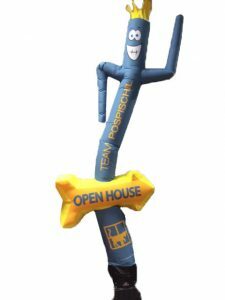 These entertaining inflatable balloons can be printed with any graphics and any color, making it a very flexible advertising tool for any business. They are printed using dye sublimation, a process in which we take a white material and dye the fabric so it matches your colors exactly (Pretty technical – maybe we can just say ‘ We can match your exact color specifications). The colors won’t quickly fade and artwork will remain sharp for the life of the Wavy Guy. The body, hair, and lettering, including the blower used to inflate the balloon, are manufactured with the highest quality and best technical specs in the industry. The Air Dancer is made with strong and durable reinforced polyester material, designed especially for our Wavy Guys, with an integrated special UV protection that makes them last longer under the sun. The best Wavy Guy in the market needs the BEST certified Air Dancer Blower in the world. An extremely powerful fan for dancing inflatables, due to it’s powerful ¾ HP motor and uniquely designed fan blades. Each blower comes with a 1-year manufacturer warranty. All required certifications for your local area are in place, whether it is CE, UL or C-ETL. Your unit will be ready to ship in about 3 weeks from order and approval and you can expect your Wavy Guy to last 6-12 months with regular use and proper care. 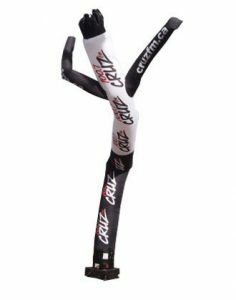 Give us your idea, we can make you a custom dancer! High Quality, best prices, on time delivery! All of our wavy guys are 20ft high. Our wavys guys are made from a superior Wav- Tex material.